Bothans are important players in the arena of galactic politics and are well known for their intelligence-gathering abilities. For over 300 years these aliens have been cultivating a vast network of operatives dedicated to gathering useful data. Before the Battle of Endor, two dozen of them sacrificed their lives to acquire the technical schematics for the second Death Star, as well as the revelation that the Emperor would inspect the station, thus rendering him vulnerable to a Rebel attack. Ever since that time, they've enjoyed a prestigious role in the New Republic. Bothans are short, furry humanoids who express themselves with great eloquence and gentle ripplings in their fur that signify their emotional state. However, this latter trait can betray them when they are being duplicitous. Bothans arrange themselves in family clans, and the apostrophe in their surname separates their immediate family name with their clan name. For instance, Borsk Fey'lya is of the clan Alya. Family is very important to Bothans, and clan loyalty is paramount; Bothans proudly display their clan sigils. Between clans, however, it is a different matter altogether. Bothan politics is known for subtle backstabbing maneuvers. While the Bothans aren't a violent people, their skills at character assassination are unparalleled. By their nature, Bothans are greedy for power, manipulative, and opportunistic, seeking the prestige that comes from controlling others. Wealth isn't as important as influence, and family clans constantly plot ways of gaining as much of it as possible. They seldom attack a competitor directly, usually waiting for rivals to do so, then finding ways to benefit from their efforts. Bothans are also paranoid, and in their society, paranoia is well founded. Layer upon layer of schemes swirl around any clan, and those who associate with Bothans often find themselves unwittingly caught up in the web of politics. The Bothan Council, made up of representatives from each of the clans, governs Bothawui as the primary law-making and law-enforcing body. The council elects one member to act as council chief, and all policies are decided by a majority vote, with the chief holding the tie-breaking vote. Each member of the council heads up several ministries and committees and appoints clan leaders to positions of importance. Spying is the Bothans' main industry. Everyone comes to Bothawui to get information, though information comes at a hefty price. The Bothan spynet, an underground system for buying and selling information, is as active under the New Republic as it was under the rule of the Empire. 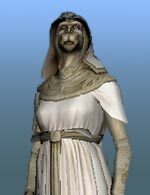 Leia Organa Solo noted her impressions of the Bothans in a private journal entry written at the beginning of the Yuuzhan Vong invasion, twenty-five years after the Battle of Yavin. During the war with the Empire we came to trust the Bothans as allies, but in later years we learned that, for them, there's always a hidden agenda. Because the Empire denied them power, they fought back in unity. If not for a common enemy, the Bothan clans would have been at each other's throats, competing to climb another rung on the ladder for control and influence. I do my best to keep free of prejudices when dealing with people, but with Borsk Fey'lya and his team, it's difficult. When we warned him of the Yuuzhan Vong, he accused me of being a traitor and making a play for power. He struck out at me, not realizing he was striking at his own survival. I realize that it's the way he was trained—to desire, to question, to challenge—but how can anything be accomplished without solidarity? How can we survive? Will this division and disruption continue? Will it end only when the New Republic is destroyed and conquered due to its lack of cohesiveness? And if that happens, will the Bothans be at the heart of it all?